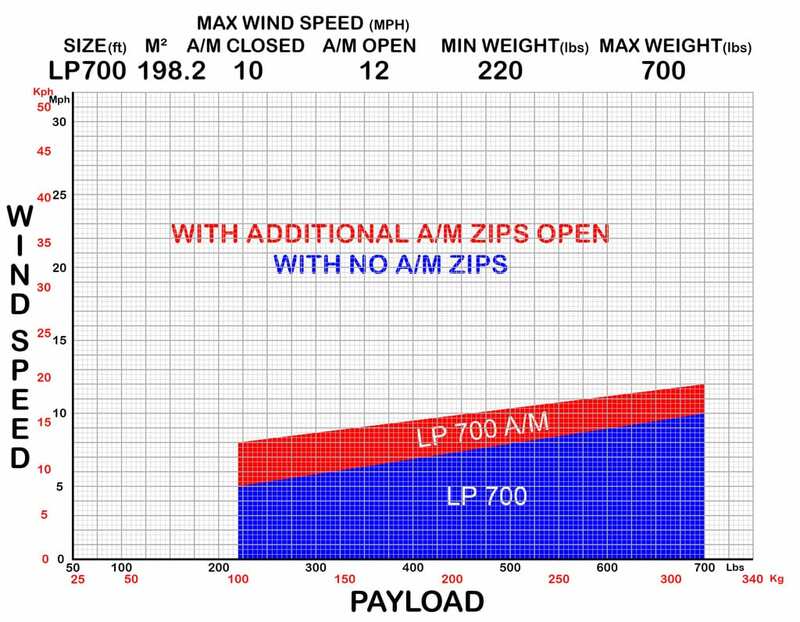 Custom Chutes Inc. has spent many hours developing from the original 16-panel parasail into a high lift low drag parasail for commercial winchboat use. There is the intermediate (Xtreme), advanced (XXtreme) and super advanced (infinity 8). These are not for beach use click here for beach. 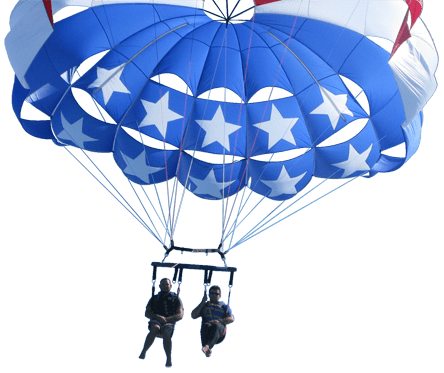 Custom Chutes Inc. uses two materials for manufacturing its parasails, 1.9oz silicone coated 6.6 Ripstop nylon and 1.3oz silicone coated 6.6 Ripstop nylon that are constructed & coated in the USA. Both these materials come in a wide range of colors, are built to the same in strength, but are used in different circumstances. 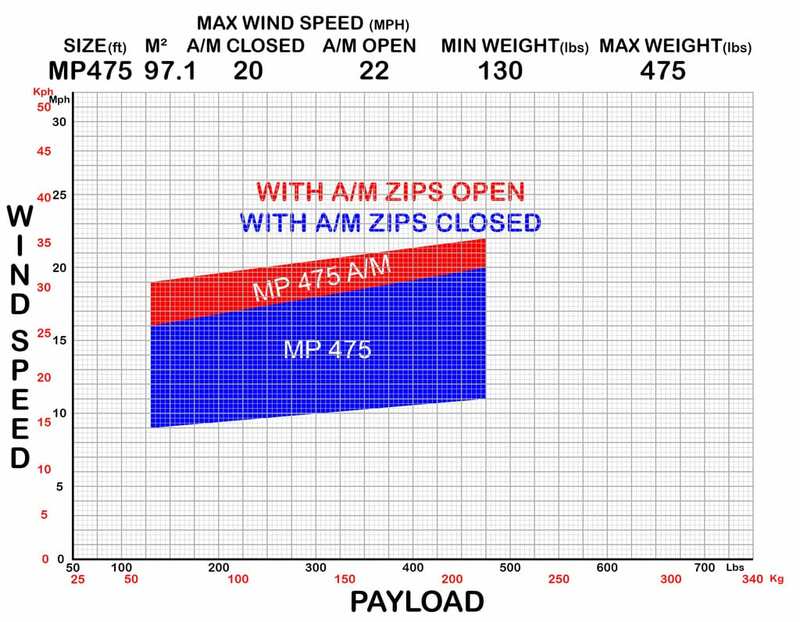 All parasails of sizes 21’ to 33’ are made in 1.9oz material (unless otherwise requested) this makes the parasail heavier which helps with parasail handling in strong wind. 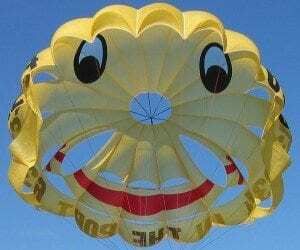 All parasails of sizes 33’ to 52’ are made in 1.3oz material (unless otherwise requested) this makes the parasail lighter, more efficient, easier to inflate and keep in the air. 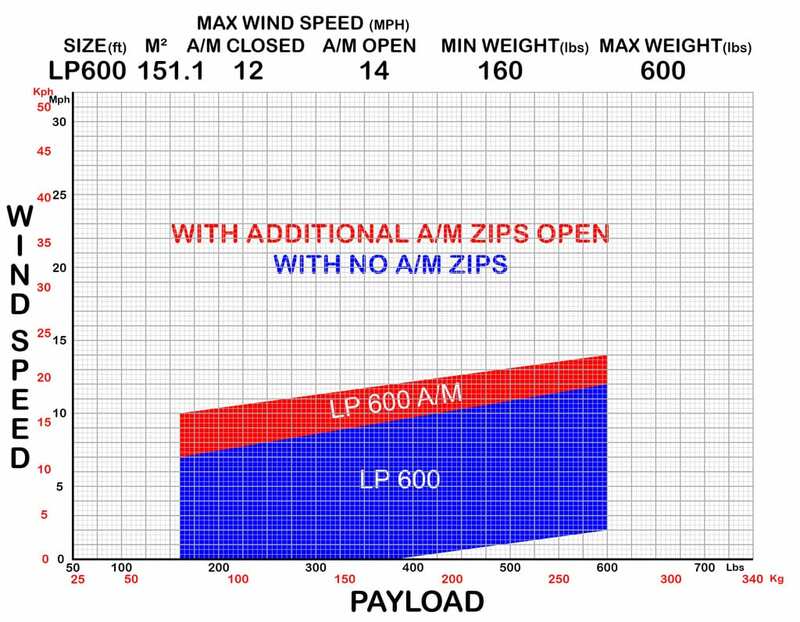 All parasails come with trim zippers; these are located in the front G panels. These are for trimming purposes only and DO NOT create more lift if both are closed, just drag that some people mistake as lift. 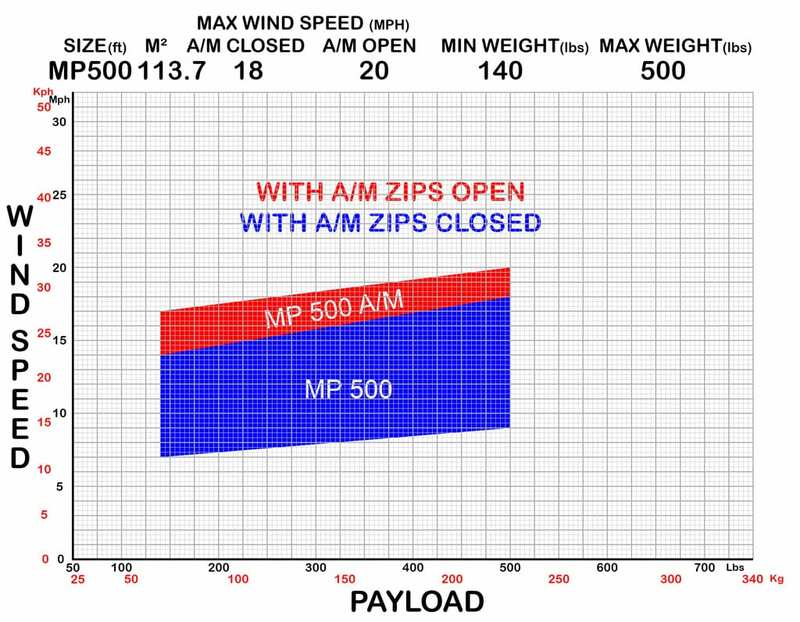 All sizes marked HIWIND (H/W) or any parasail with air dumpers come with Air Management Zippers (old name high wind zippers) as standard, in any other size they are an optional extra. 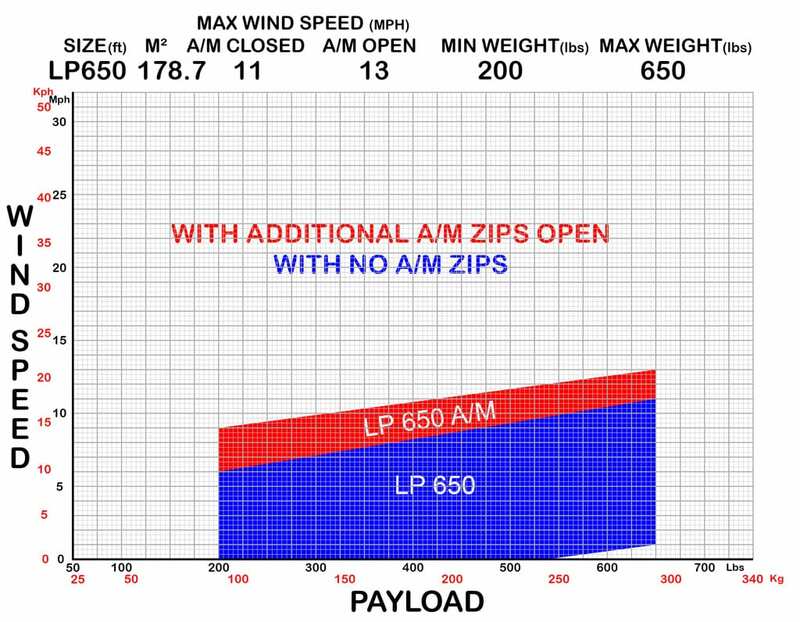 Air Management Zipper allow the parasail to operate in 1 to 2 mph more wind speed above its normal operational wind speed which in parasailing can make a difference and can assist when carrying a payload from the lower range of the parasail in the higher end of its operational wind speed. When using Air Management Zippers both should be fully open or fully closed, NEVER partly opened. 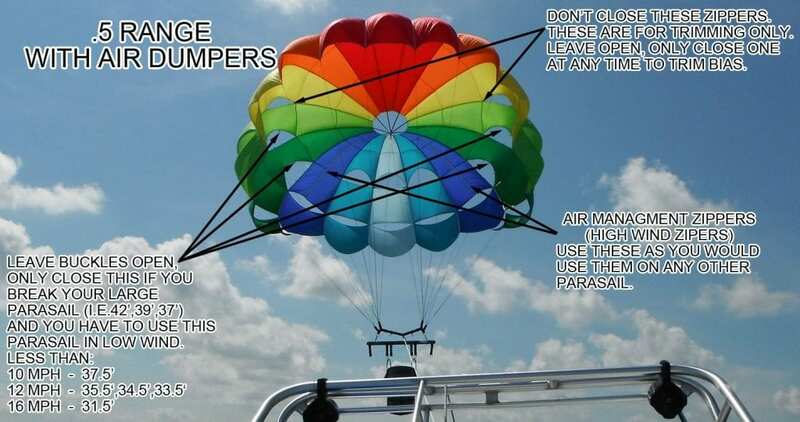 Air Management Zippers should never be used to trim the parasail. ATTENTION From august 2014 all new .5 range parasails do not come with the buckles on the Air Dumper vents due to many operators miss use of them (are available on request), the Air Dumper vents allow the parasail to manage turbulent air better. 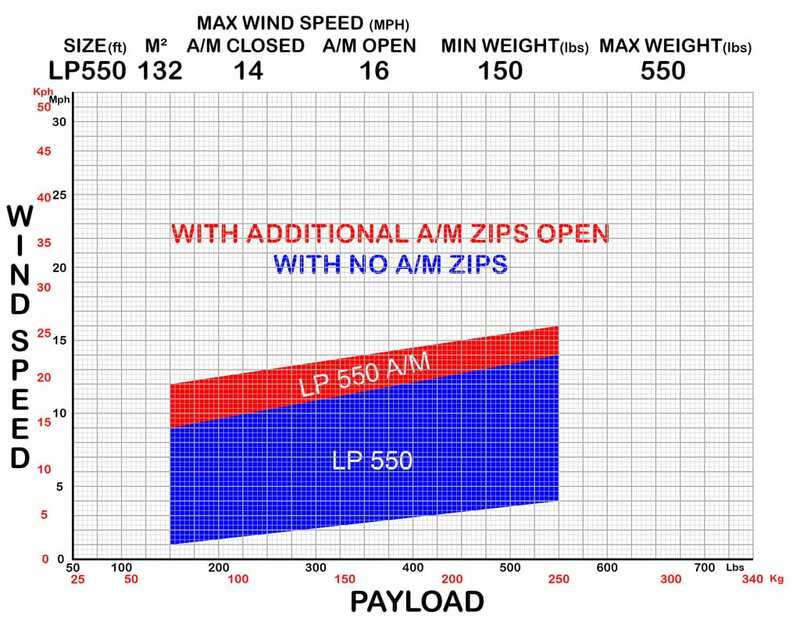 This allow the parasail to be more stable in turbulent conditions, making it easier and safer for the operator. 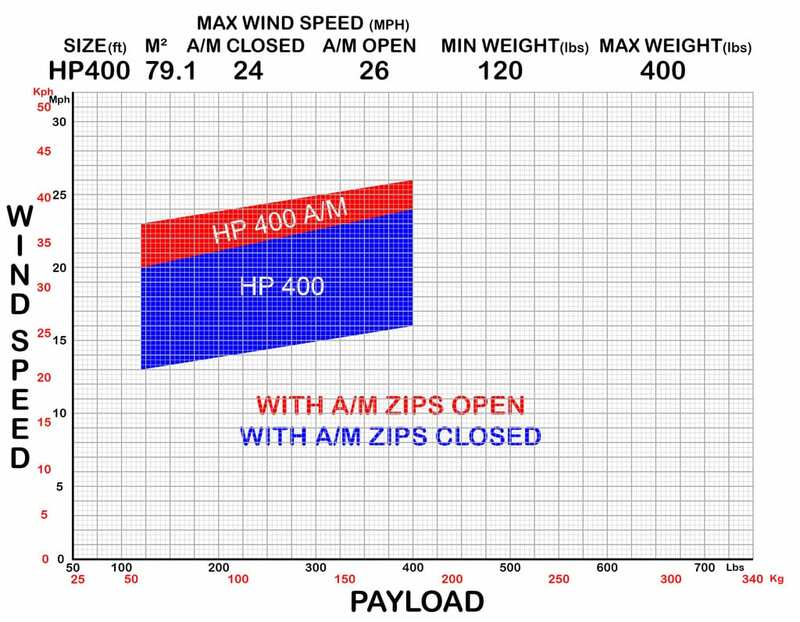 HP: High Wind Parasail, MP: Medium Wind Parasail, LP: Low Wind Parasail. 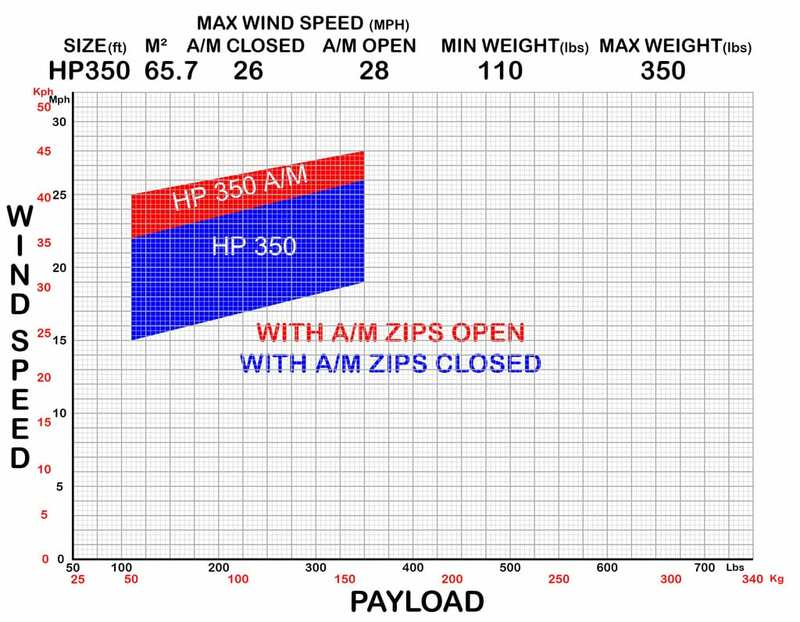 All HP’s and MP’s come with Air Management Zippers (A/M), other sizes they can be added. 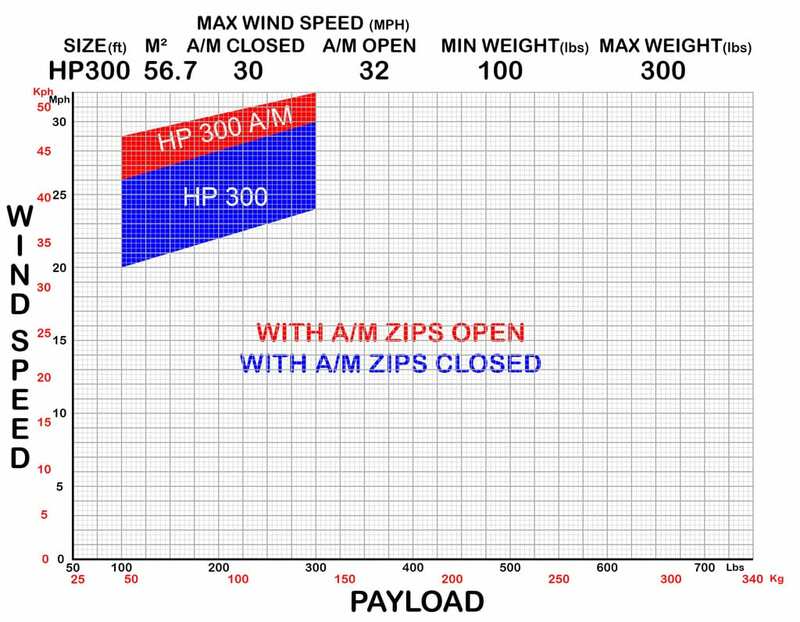 All HI/Wind come with Air Management Zippers (A/M), other sizes they can be added. Color your own custom Parasail! We can copy any logo within reason provided we are supplied with the artwork and advise you where to place it within the chute for maximum exposure. The logos are made in ripstop fabric, sewn into the chute, not painted on or screen-printed so this will not peel or wear off. There are some customizations that can be made to our standard formats. e.g., telephone numbers, stars & stripes, Smileys, skull & crossbones and superman. 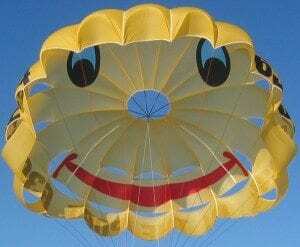 With supplied art work we can provide a computerized artistes impression to help visualize the finished parasail.